For the last couple of years I've been using a simple, free app on my phone called Pedometer to keep a rough record of how far I walk. I set myself a goal of 60 miles a month and was always happy when I got over 100 miles. 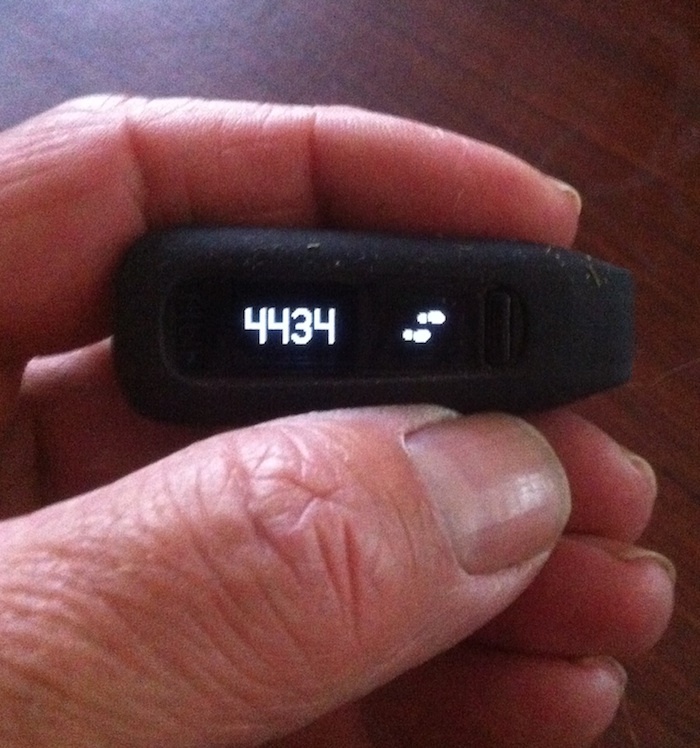 As of this afternoon I've started using a fitbit One. Just taken the dogs out for their afternoon stroll, I did a mere 2.09 miles, 4434 paces, and burned a meagre 1769 calories. Interestingly it thinks I climbed 17 flights of stairs which gives some indication of the hilly nature of my surroundings. 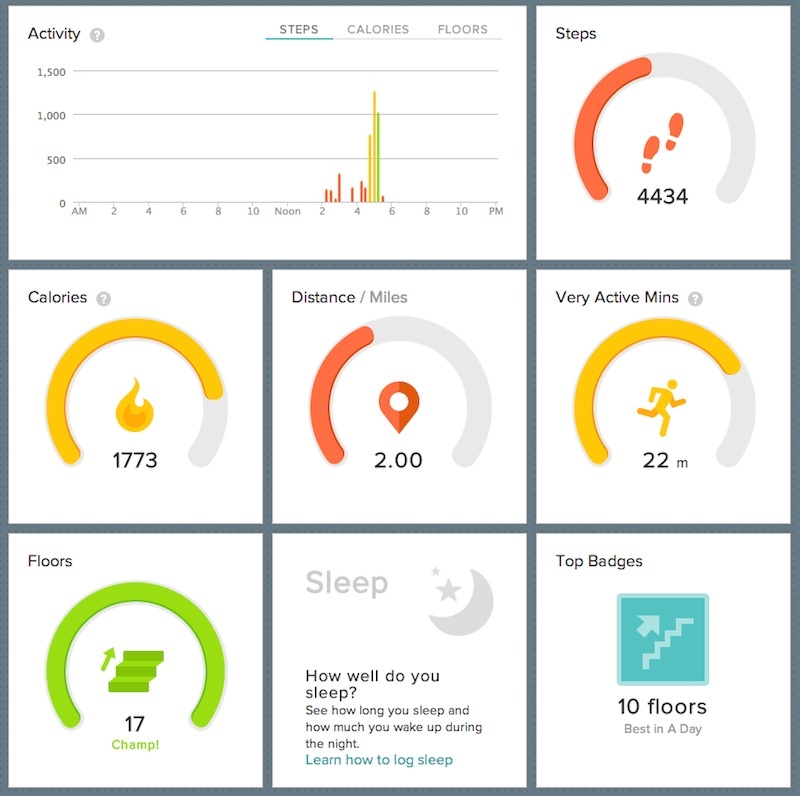 The best bit for me is the FitBit dashboard. If you like walking and data, what's not to love. I'm already obsessing about super long walks I could do. Can I generate graphs? Can I have full colour bar charts on the wall of my office? Will I loose the FitBit in 3 days time? It's tiny!